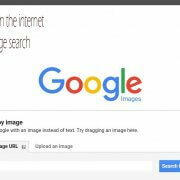 Reverse image search is simply a method of finding the origin of a picture. So you get to see one of your image on the Internet and wondering how it got ? or probably you see this cool picture on the Internet and you want more of it. Tech has now made it possible with reverse image search. Reverse image search results includes Source of the image, Related images, Higher quality and resolution of that image, Different sizes of the same image etc. The tool especially of benefit to photographer as well as graphic artist. Since photos are the most coveted property on the Internet. Photo copyright has always been a much debated issue because why let a protected picture into the Internet free. As such this tool is important to photographers as it can be a tool to protect their assets from plagiarism. Users of photographer’s image property without their consent, it is expected that you atleast credit them with a back link.They can now track their images with the research image search. You can search using keywords, but you can also look up a photo’s URL. Find the Picture you want to search through you mobile browser. Then tap the search icon to start the search. The page will reload with your image results. Open Google Chrome on your iOS or Android device. Locate the picture that you want to check. Press and hold then go to Search Google for This Image. Chrome will launch a new tab and load your search results.